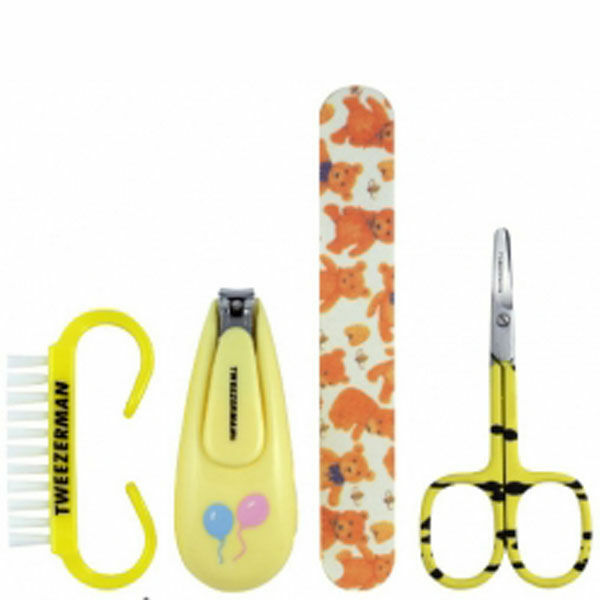 This baby manicure kit from tweezerman is perfect for the little people in your life as thet are specially designed for little fingers and toes. These tools will not cause any discomfort to children, and are comfortable for parents to use. Tweezerman baby nail brush, Removes dirt and germs from little fingers and toes. Tweezerman baby nail clippers, Can be used on the smallest of finger nails. Tweezerman baby nail scissors, Have rounded tips for extra safety when cutting little nails. Tweezerman baby nail file, Help to ensure your baby wont scratch its self.